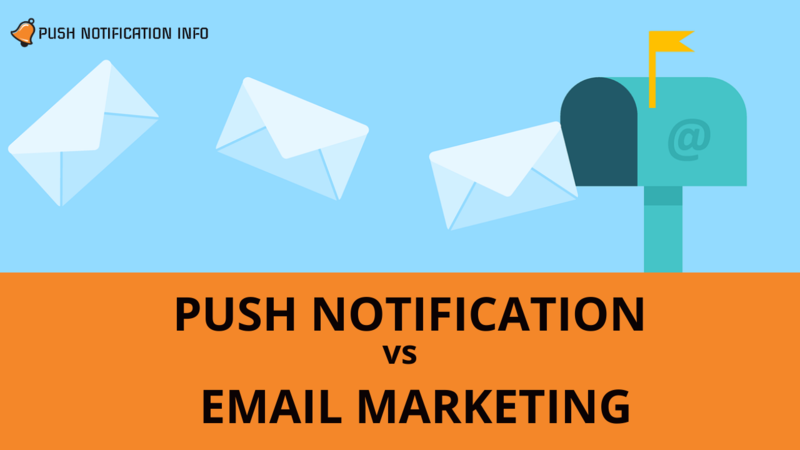 Home » Comparisons » Push Notification vs. Email Marketing: How to Choose the Right One? Digital Marketing is, today, at the top of its game. When the whole world is turning digital, how can it be possible that marketing would be left alone? All the brands and Companies have turned towards the blessing of Digital Marketing. Many of those companies and brands today, even credit their success to digital marketing. Push Notification is in the major league of this game. Email Marketing, too, is in the game. But which will work better for you, only you can decide that. The major problem that many of the companies or brands face is to decide which is the one medium that will work best for them, or at least best responsive, in this matter. SMS, Email and Push Notification all are popular methods of communication with the customers. 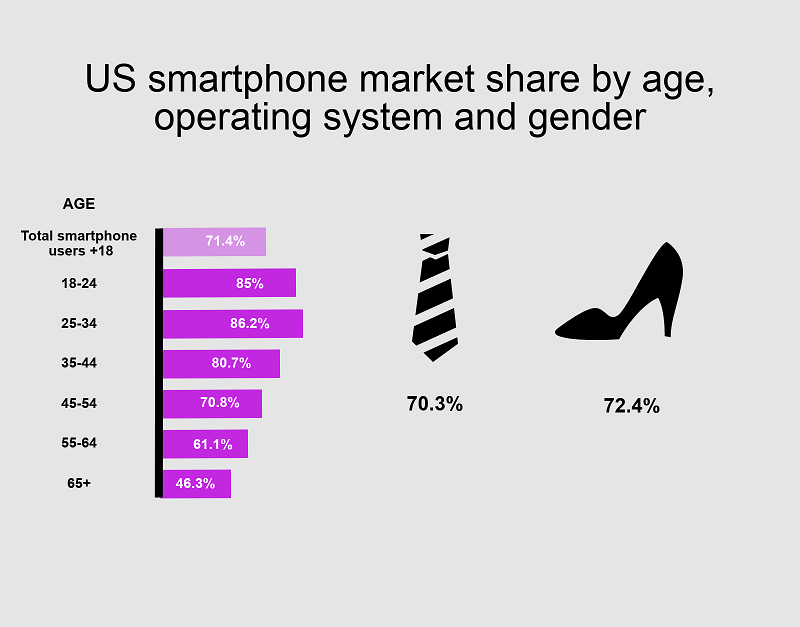 The best way to reach to a customer is through his or her smartphone. The fastest it can receive, the better for you. Because visibility is one factor we cannot ignore in digital marketing. In this article, we are going to explore various aspects of both the mediums. By the end of this article, you will be able to figure out will be the right one for you. Before jumping into any conclusion we must patiently observe the advantages of both the mediums. Every medium has its own strengths and specialty. Let’s directly dive into those. In spite of the fact that most of the people think that Email has become an out-fashioned medium, it still has its perks. 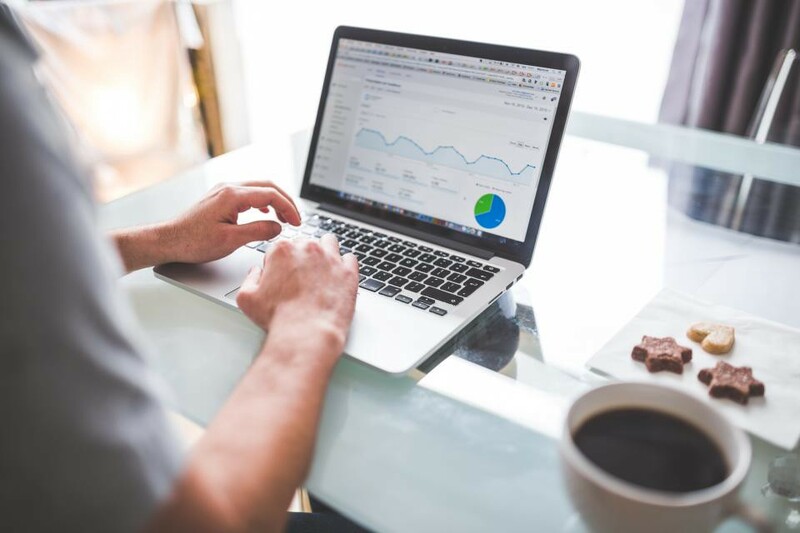 It is very commonly seen that almost all of the brands and companies choose to send an email to their customers if they want to alert them about anything. The basis purpose of it is that the customers can have that email for as long as they want. One would even say that it is one of the most sophisticated way of communicating with your customers. Emails are not known to reach its customers right away. So it is the perfect medium to send information which are not time sensitive. Usually, emails have a low open-rate, so regularly scheduled emails such as Weekly Magazine or Quarterly News Magazines are perfect content for your users. This also helps you to build trust. Email-marketers also invest in personalizing these emails so that each email suits best to their users. One thing to be kept in mind id that you must label your email very properly so that it does not en up in the box of spam. One more strength of email is that you can make your email look attractive and beautiful. You can add exquisite visuals or compelling content to attract your users. Along with being popular, Emails are also cost-effective. It’s very rare that customer opts out after being subscribed. Their loyalty stays strong with emails. So make sure to send mails which worth their loyalty. There are tons of strengths of this medium. Which is why the is the leading communication expert. The process of opt-in is very simple and easy. It only takes a single click to subscribe to your website. A single ‘Allow’ button does the job. On the other hand, it also saves your time by not needing to look for fake IDs. Push notification has a record of higher click through. With all the amazing look content, it is very hard to ignore and ultimately your user ends up gong to the page you desired. Instant delivery is one of the highlighted feature of Push Notification. No matter what content it carry, be it about Flash Sale, End of The Season Sale or Limited Discount, Push Notification is sure to deliver it on time. This helps in keeping your subscribers up-to-date that too in real time. This can be done even if your subscriber is not on the website. Push Notifications are short, simple and precise. You don’t have to spend a lot of time in creating your content, nor does your subscribers in reading them. The notifications fairly short, which is why your subscribers find it convenient to got through it and act on it. Procrastination is not the schedule. Nether for you, nor for your users. With Push Notification, there is a huge scope of sending personalized message. This factor help in engaging your subscriber. There is also the added benefit of this medium, Rich Push. With Rich Push Notifications, you can send your customers images, GIFs, audios, videos etc. This helps you to engage your subscriber more than usual. These benefits of Push Notification are not even the half of what the list is. But this doesn’t mean Email cannot serve the purpose you are looking for. Settling for a medium which will work best for you is difficult. So, its better you lay out your requirements before getting started with settling down with any channel. The medium of communication will largely depend upon what type of business you are in or what type of company you run. If you have an app, then its best to engage with Push Notification as you will able to enjoy immense benefits out of it. But if you are a company without an app, Email Marketing will prove more worthy of your investment. If you are starting out newly and want to save some money on marketing but have a large base of clients, Push Notifications will prove themselves to be your savior. Reason being, they are typically and mostly free. Engaging with Email Marketing will cost you a fortune. Contrarily, if you have information for your customer which will consume a huge amount of characters, Email should be your preferred channel. Push Notifications are quite short, which means they will not be able to deliver the entire message you desire. Apart from that, if you want your subscribers to share the information or the content you are sharing with them, Email will do the job. Push Notification is not meant for such stuff. Every channel of communication has it own perks and serves its own purpose. It is you who should decide what medium will suit you best. They all are meant for certain specific goals. You cannot expect to cover one for the other, if its not meant to be. So, get your desires straight and the decision would be easy.